Product Consists : Skin Cottage Shower Gel with Fruity essence added moisturizer and vitamin E (Weight : 400 ml), Guess EAU Perfume Spray (Weight : 75 ml) along with Mothers Day Greeting Card comes in Exclusive Paper Bag. Love Fragrance has the power to change every ones mood so usually people love to wear this fragrance. This combo Body Care Gift Combo with Mother Day Greeting Card can be a perfect gift to delight your Mom. It is the perfect gift to express your love and caring. Giftacrossindia.com has handpicked and put together this amazing gift hamper for you to make celebrations memorable for the mom in your life. It is very special to know the love and care hidden behind an introvert person so make the same feelings of happiness for your mom this is a simple reason to make believe to your mother how much special he is for you. 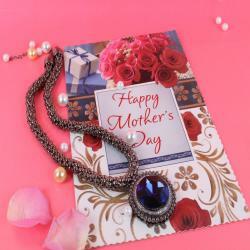 This gift combo should be the best bet for Mother Day, Birthday and Many more. This hamper can be a perfect gift for mom on any special occasion or festival like Mothers Day, Birthday and Many more. Browse your favorite products, it is very conveniently available for online shopping from anywhere in India with Free Shipping. 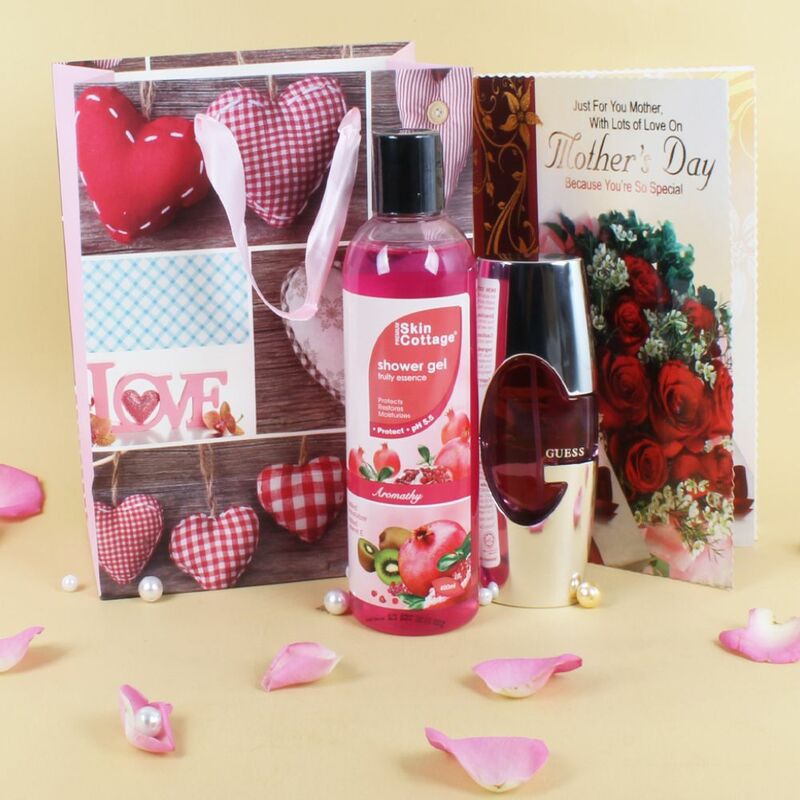 Product Consists : Skin Cottage Shower Gel with Fruity essence added moisturizer and vitamin E (Weight : 400 ml), Guess EAU Perfume Spray (Weight : 75 ml) along with Mothers Day Greeting Card comes in Exclusive Paper Bag.